Golden Ronald Farr, 87, passed away peacefully on April 4, 2015. He is preceded in death by his wife, Evelyn. He is survived by his second wife Sytha, seven children, seven step-children, numerous grandchildren and great-grandchildren. There will be a Viewing on Friday, April 10th from 6-8 p.m. at Bunker Mortuary, 3529 E. University Drive, Mesa, AZ 85213. 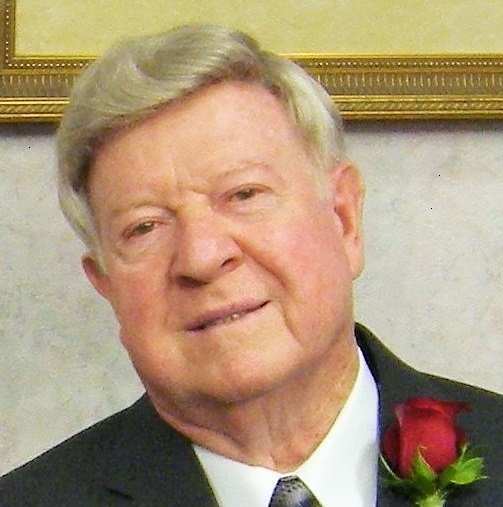 Funeral services will be held Saturday, April 11, 2015 at 10:00 a.m., preceded by a viewing at 9:00 a.m. at the Mesa North Stake building located at 933 E. Brown Road, Mesa, AZ 85203. Ron was a loving and selfless individual. He loved his family and Heavenly Father and Christ. The things that he did in his life always pointed toward these loves. He obtained double Masters Degrees in both Math and Science. He was in the Air Force for 20 years, and was one of their top Meteorologists. After leaving the Air Force, the family moved to Mesa, AZ, where he taught school and had other business ventures. Dad loved the temple, and served there weekly while he was able. If there was someone who was downtrodden or needed help in any way, dad was the type of person who would do all in his power to help. He truly had a servant’s heart, and did his best to make the world a better place. He will be greatly missed, but we know the reunion with Mom was sweet, and that he is now anxiously engaged on the other side, preparing the way for his posterity and loved ones here. God Speed, Dad. We love you so much! We are so sorry to learn of the passing of this dear member of the Farr legacy. He has passed on so many of his wonderful traits to his posterity, such as a bright mind, persistence, great accomplishments, and a kind and generous heart. He truly has walked in the footsteps of his ancestors!